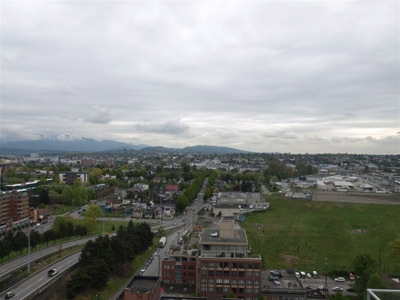 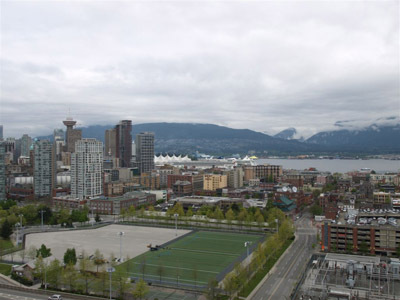 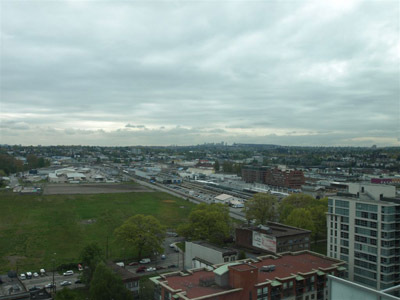 This beautiful 2 bedroom penthouse condo is located near the Athletes Olympic Village, Science World, GM Place and BC Place Stadium, two major Olympic venues. 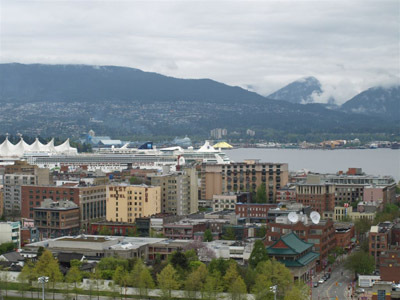 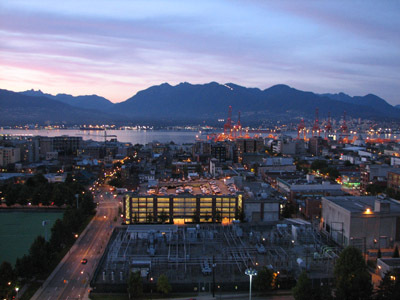 You can enjoy a short walk to these locations along Vancouver's famous Seawall. 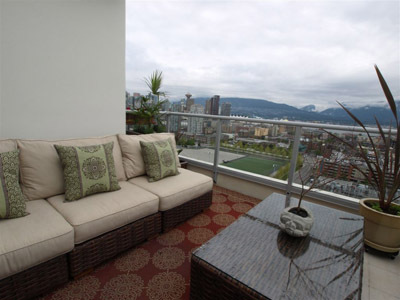 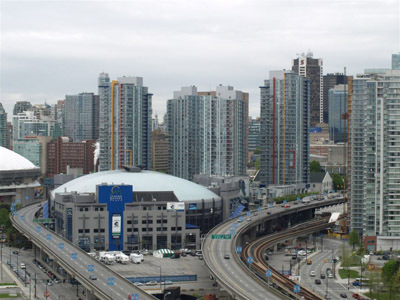 This location is also a two minute walk from the SkyTrain station for easy access to getting around Metro Vancouver. 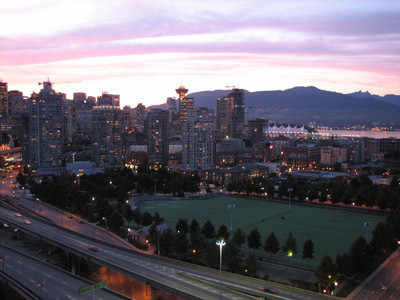 On the border of Chinatown and Gastown, upscale cuisine for the food connoisseur is close at hand and within walking distance to movie theaters. 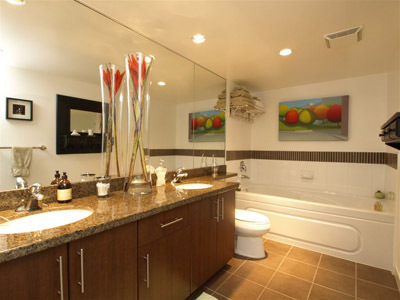 Entering the condo, you'll find a place that is as beautiful and elegant as it is comfortable and functional. 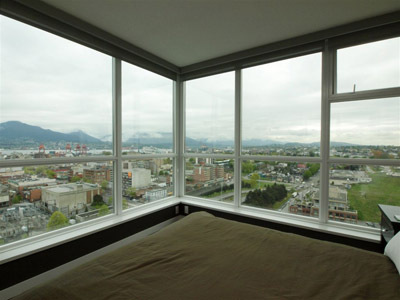 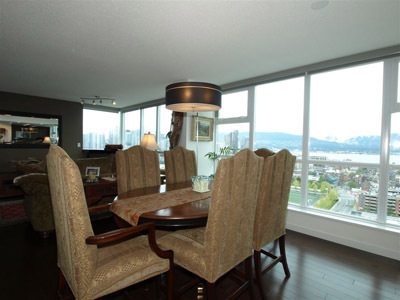 The first feature that greets you is a stunning view of Vancouver through floor to ceiling windows that run the entire length of the condo. 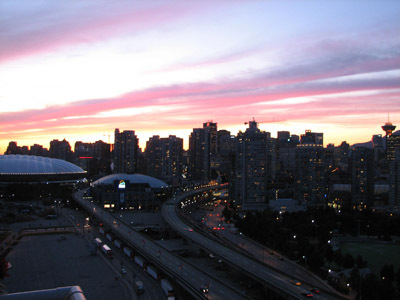 The view changes throughout the day and the view at dusk is nothing short of spectacular. 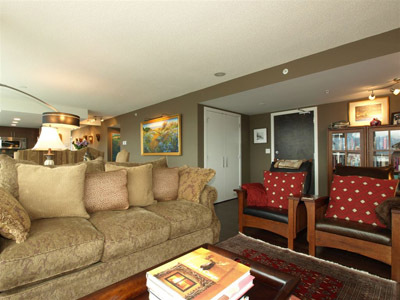 Relax with your favourite beverage and enjoy the fireplace for added ambiance. 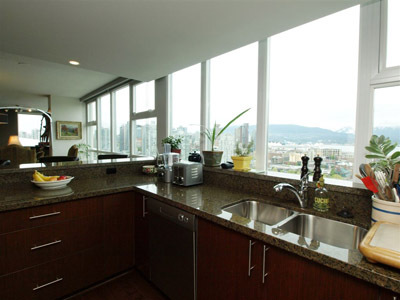 The kitchen opens to the dining and living area and is fully equipped with stainless steel appliances and all the conveniences you'll need during your Olympic stay. 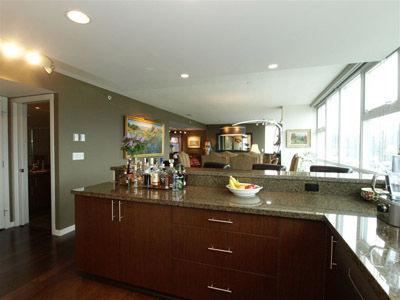 There's also bar seating so you can socialize while creating your favourite cuisine. 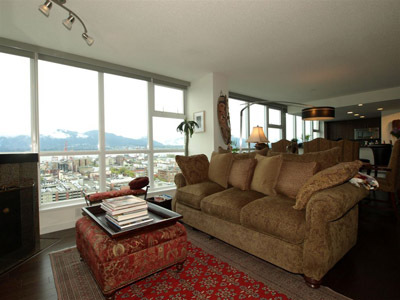 For those that just want to relax, sit back and watch the view of one of the busiest harbours on the west coast of North America or lay back in the large soaker tub. 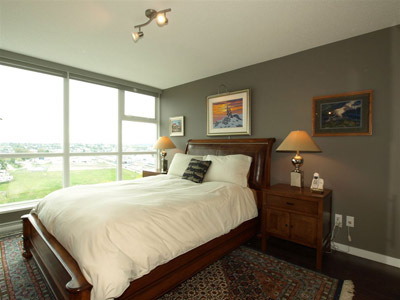 The two bedrooms both have high quality comfortable queen beds and the master comes complete with an ensuite. 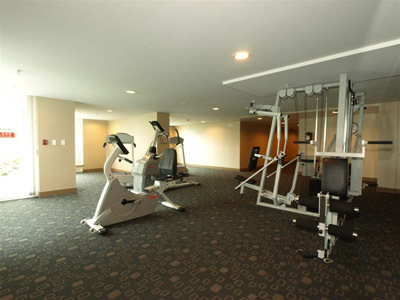 There is also a full workout facility on the main floor just off the lobby. 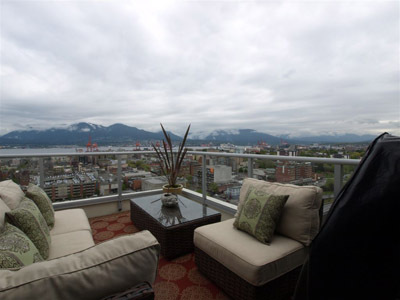 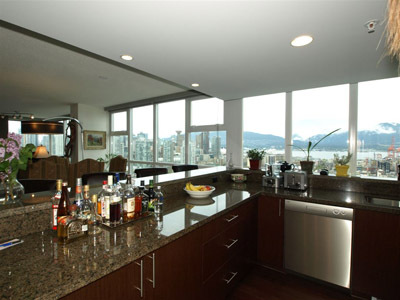 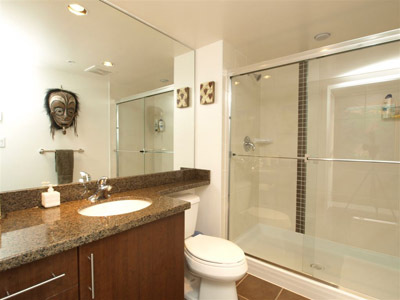 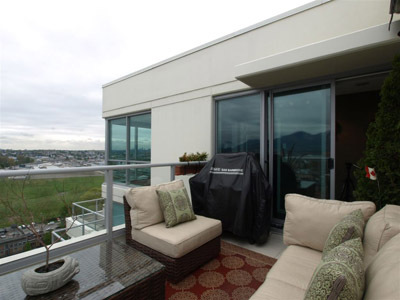 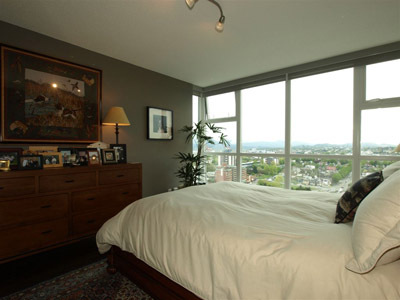 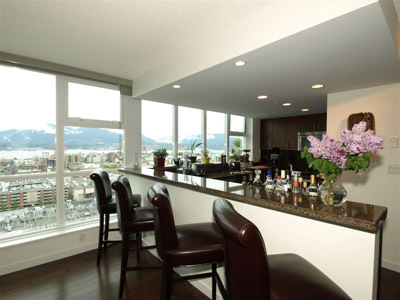 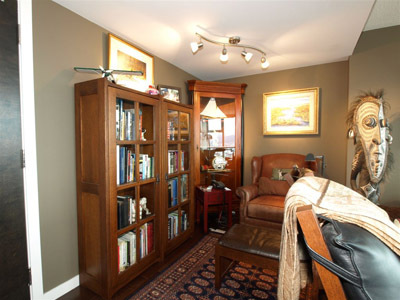 City Gate 2 Bedroom Penthouse condo is all about location, location, location. 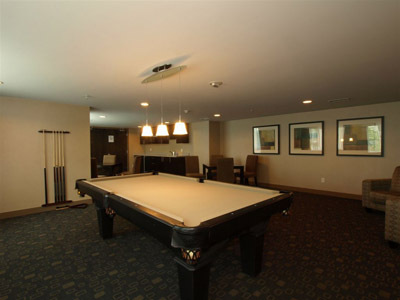 Its close to everything you'll need to enjoy your experience yet a great escape at the end of your day.